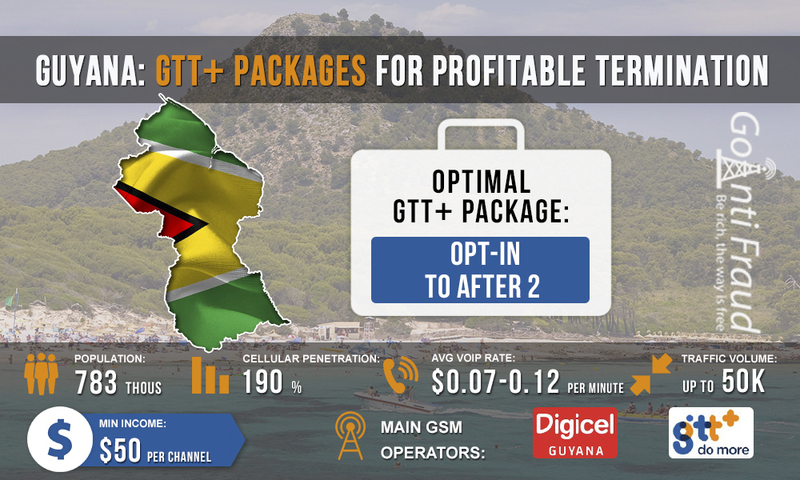 GTT + (formerly Cellink Plus) is a leading cellular service provider in Guyana, the main competitor of Digicel Guyana. The company is an Internet service provider and a fixed-line operator in parallel as well. The GSM coverage of GTT + is better than that of Digicel. Startup plans of this operator will be a good choice for international voice traffic landing. The GTT + SIM card can be bought not only in official sales network of the operator, but also in other outlets. However, their cost is high - about $9, and this is without any bonuses. The standard price per minute of an outgoing call is also quite high - $0.15. Daily +. Includes 15 bonus minutes for calls, costs $2.1, duration — 1 day. 3 Days. Includes 25 bonus minutes for calls, costs $3.5, duration — 3 days. Weekly. Includes 40 bonus minutes for calls, costs $7.1, expires within 7 days. Monthly. Includes 100 bonus minutes for calls, costs $16.7, duration — 30 days. Monthly +. Includes 150 bonus minutes for calls, costs $24.8, expires within 30 days. Unfortunately, none of these packages will be good for profitable termination due to their expensiveness. However, there is one more proposal from GTT + - Opt-in to After 2. This tariff plan provides an opportunity to make a call during 12 minutes for $0.6. Thus, the minute of an outgoing call will cost you about $0.05. With voip gsm gateway linksys running for 5 hours a day, you will be able to get an income of about $200 from each port of VoIP equipment.